Overview: Discuss the many different Creo surfacing styles and techniques. This Creo training course is developed for more advanced surfacing modelers who want to become experts at using Creo Surfaces. We help you obtain expert surfacing status faster, we do not read to you from an exercise or a book. In this course we help design engineers and industrial designers leverage parent child constraints and learn how to make changes quickly to set them up for becoming expert faster. Discuss the many different Creo surfacing styles and techniques. 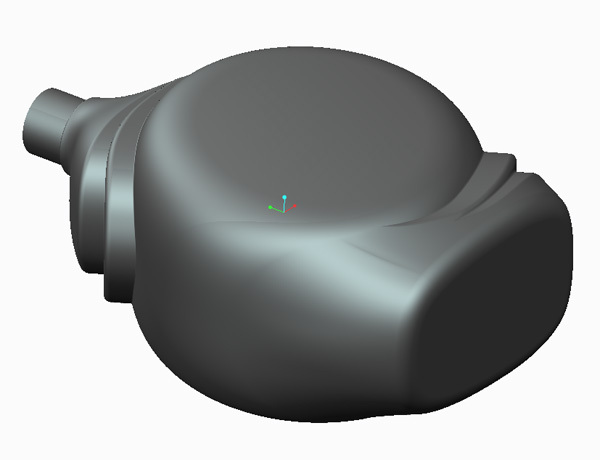 Force rounds with Surfaces and apply Creo Surfaces on Solid geometry. Parting lines on parting surfaces. Using Sweeps and blends. Using graph features, trajpar & evalgraph. Learn to use Conics and discuss differences over Splines. Overview and discuss with examples what you didn’t learn in the PTC or re-seller Creo surfacing class. 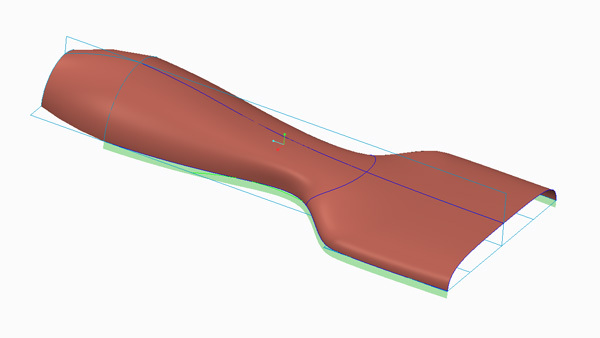 Learn to utilize Creo curves and Creo surfaces to affect solid geometry. Learn every aspect of the sweep and blend tools (was Variable section sweep tool). Learn every aspect of the Swept Blend Tool (with examples). Learn to use Trajpar variables with multiple examples. Manipulate a curve through points using NURBS modeling and techniques. Merge, Trim, Transform, Replace, and Extend surfaces. Utilize new skill sets to smooth out solid material from problem areas and forcing rounds. Building more robust curves and surfaces. Learn to use Trajpar, Equations & Evalgraphs to drive Sweeps and Blends. Eliminate isoparms (what PTC calls Knots). Learn about striation or flow of surface and discover tools inside Creo for manipulating striations. Learn the inherent issues and problems with 3-part boundaries. Brief introduction to the Style tool. Discuss light reflections from an industrial designer’s perspective. Discuss building robust curves and the time saving benefits of a careful plan of attack. 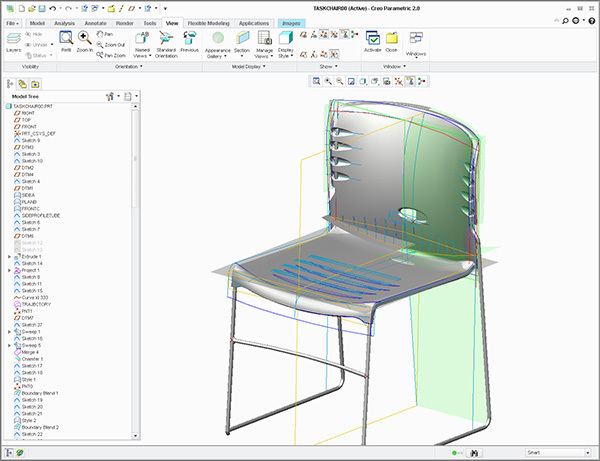 Compare and discuss other surface modeling software to Creo. Learn to utilize parting curves & surfaces. 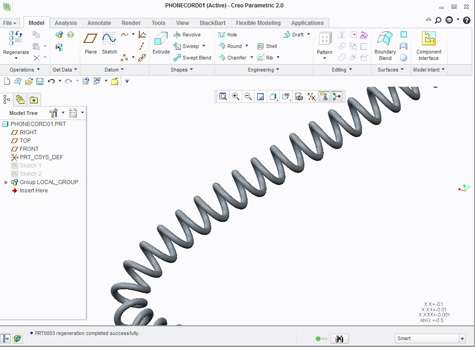 Discuss forcing rounds in Creo using surfaces. Workflow and plan of attack. 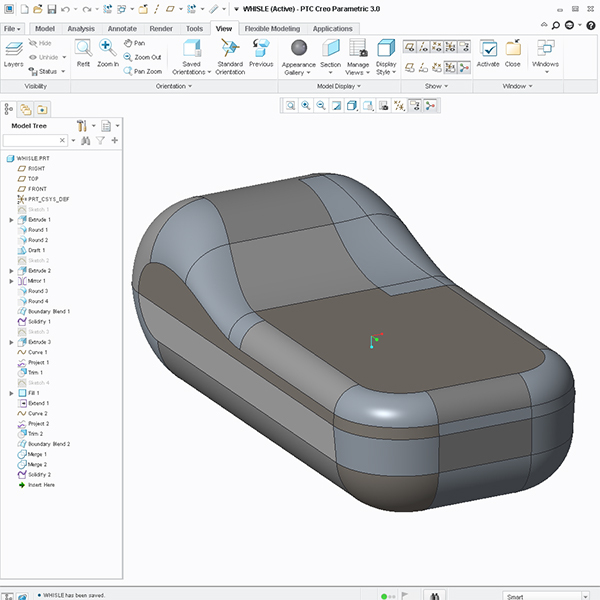 Discuss the proper Creo Surfacing techniques of Creo surface modeling and the ability to leave a bread crumb trail for others to understand your approach. Discuss modifying other designer’s surface models. Discuss in detail surface analysis tools and the practical uses with specific examples. Discuss what industrial designers study in college and how as a product engineer you can work more efficiently within the design arena. This Creo training course is developed for more advanced surfacing modelers who want to become experts at using Creo Surfaces. We help you obtain expert surfacing status faster. We do not read to you from an exercise or a book. In this course we help design engineers & industrial designers leverage parent child constraints & learn how to make changes quickly to set them up for becoming expert faster. As with all Design-Engine classes participants keep the training material login and password for life.